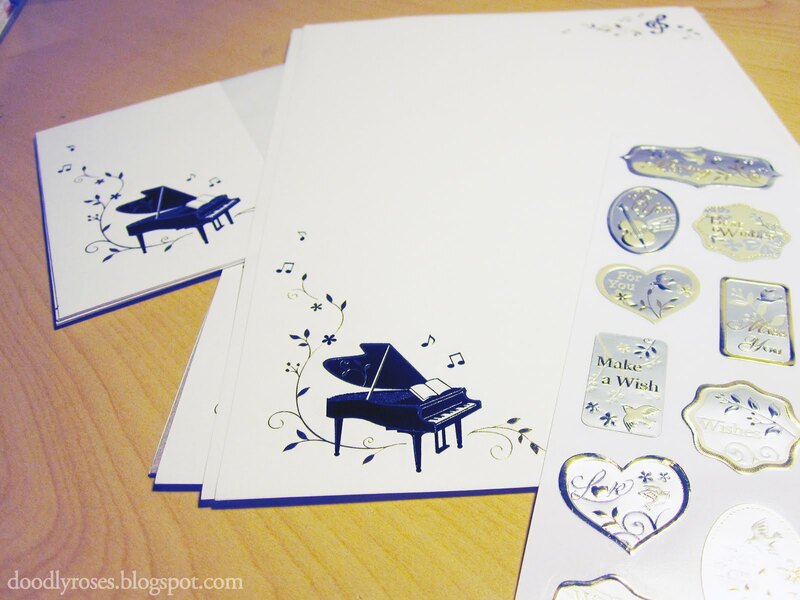 I have a slight stationery addiction. A few days ago I cleaned out a nightstand to use as a dedicated storage unit for my collection of notebooks, letter pads, cards, pens, stickers, etc. because it’s gotten to the point that they are in piles and boxes all over the place. I pledged not to buy any more stationery for a while. 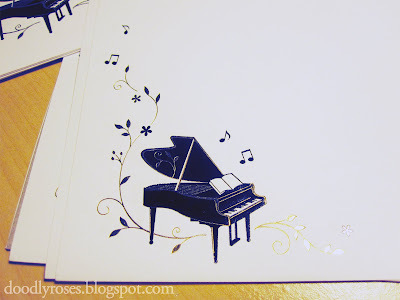 …But then today I found myself in an Asian stationery shop and I was able to resist until I found a set of gold-embossed piano-themed letter paper. It was the only piano-themed set left in the whole store, and I had to get it. The thing is, after I bought it, I took a closer look and realized that the piano is backward. See how the lid opens up on the left, and the crook (the curvy part) is also on the left? All grand pianos open up to the right, unless, I suppose, they are specially constructed otherwise. 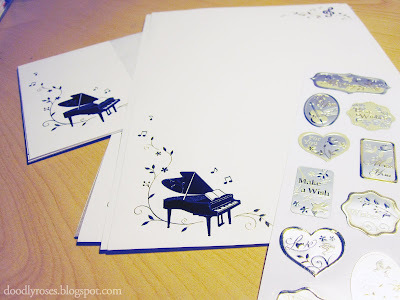 I can’t believe that the stationery makers got the piano wrong; maybe they hired a dyslexic piano-illustrator.